No longer considering himself a KGB operative when he oversaw the execution of a Soviet spy who attempted to sabotage his oil well, Zorin becomes self employed. Winning horse races with ease by activating illegal horse steroids by means of implanted microchips, forms a plan to destroy his only competition in Silicon Valley by triggering a massive earthquake in the San Andreas Fault at high tide, causing the valley to flood. Such a disaster would effectively wipe out all computer companies competing against Zorin in the world microchip market and leave him as the leading supplier of microchips. Jon Ronson author of “The Psychopath Test” suggest that 20-25% of the top CEO’s around the world exhibit signs of being psychopathic. If this is true then Max Zorin topped the list when he personally massacred hundreds of his own mine workers to ensure the success of his own plans. 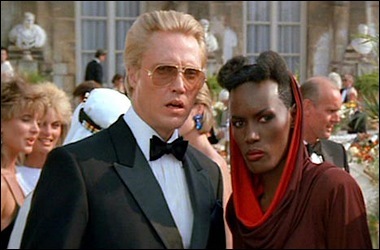 Zorin’s plan is foiled by Bond and Zorin’s former lover and henchman May Day, played by Grace Jones, who joins Bond’s side after Zorin attempts to kill her, having already killed most of his workers as well as May Day’s friend Jenny Flex, and sacrifices her life to ensure that the bomb set by Zorin could not trigger the quake – she was killed in the explosion seconds after managing to push a trailer full of explosives out of the valley and into open air. 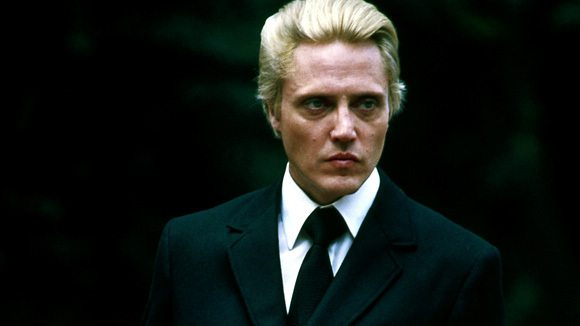 Christopher Walken played Max Zorin with a devil may care attitude and killer smile. You can tell that he relish the role of being a sadistic bad guy but you have to admit despite wanting to literately kill his competition in “A View To A Kill”, Max Zorin will forever be known as the villain who could have been a top CEO of the 20th and 21st century in the real world.